It can be so difficult to find the words. How do you explain what it feels like to carry on living without your child? Without a part of you. Without the life that you carried and birthed. Without someone who you love more than any other. I don’t have another living child to give this love to. So what is the best word to describe this life without my only child? When Lincoln died, I knew my life would be changed forever. I knew I would always miss him. I knew the wound wouldn’t heal. But I don’t think I fully grasped the reality of what that meant for my life going forward. Now, in this 14th month since saying my final goodbye, I have been facing those giant waves of grief as if I were back in month 1. Sometimes in the midst of sobbing and squeezing my arms around LincolnBear, holding him where my baby should be; I start to grieve on a whole other level. I start to grieve what my life has become: Am I really going to hurt like this for the rest of my life? I’m learning that the answer is “Yes, I will”. The grief is going to be softer on some days, but it won’t go away. And these giant waves will come crashing down on me when I least expect it. Always. I will always grieve the loss of my son. Through the years, I will grieve the puddles he will not jump in, the kindergarten class he is not a part of, the instruments he will not play, the paintings I can’t teach him to paint, the friends he will not play with, and the family events he will not be a part of (among countless other things). I try not to focus on these things, but I have lost so much more than a future with my son. I have lost who I used to be. I have lost relationships. I am grieving this loneliness and isolation. I would never go back, and I would never erase the time I had with him. I would never erase the things I’ve learned about life and about myself. But I still grieve those other parts of this life I now know. From the moment you see those little pink lines, your life is given a new purpose. And this purpose is the most important one you’ve ever been given. I dreamed of being a mother since I was a child. I already knew it was my purpose. In that moment, with that positive, I thought that all of my dreams had come true. 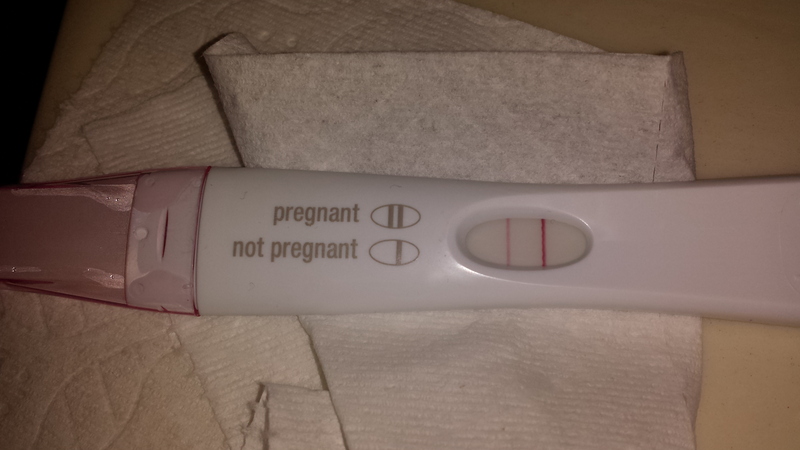 I found out I was pregnant on May 22nd. I spent exactly 7 months preparing for Lincoln’s arrival. My husband and I lovingly filled a nursery with all of the baby items we could ever need. We had a closet full of tiny clothes, and a dresser full of cloth diapers. More importantly, we had all of the love we needed. We quickly fell in love with our precious little boy, and we were ready to be parents. On December 22nd, all of my dreams were torn away from me. I have a broken heart full of love, and my baby is not here to receive it. So where does that love go? Where do I send it? How do I express it? I talk about Lincoln with anyone who will listen. I paint and I write. I draw inspiration from him. I try to honor him in everything I do. I share him. I talk about my dead baby….and I drive people away. Child loss is a reality that cannot be understood until it is lived. What people don’t understand, they often shy away from. I could stay quiet. I could hide the pain. But this love is too big to keep tucked away. I feel perpetually misunderstood: by others, and even by myself. Over the last 14 months, my life has been a constant learning experience. I have questioned everything I have ever known about life. I have questioned faith. I have questioned family. I have questioned relationships. I have even questioned myself. I am having to get to know myself again. There are very few people who are willing to take the time to learn the new me. I am so grateful for those who do. It takes effort and I am still figuring it out myself. I can feel everyone else just waiting: Waiting for me to move on. Waiting to see a pregnancy announcement, or anything else that makes them feel like I’ll be ready to let go. Waiting for me to go back to normal. But I will not go back to who I was before I found out I was pregnant. I am now a mother. I no longer know who I am; but at the same time, I feel more sure of myself than ever. I am filled with uncertainty and doubt, but am also more confident than I ever was before. I am constantly searching for a new purpose in my life, while also striving to fulfill my broken purpose as the mother of a child I cannot hold. I have felt complete hopelessness, but then have made myself fight to find hope again. For right now, I am lost. But I will find myself. Not my old self. But the self who has birthed a beautiful son. A self who is fighting to make that little boy proud of her every decision. A self who has suffered unimaginable pain, but carries on. That was so perfectly said. I didn’t get to birth our Angel baby. We had finally come to terms with being parents to another precious blessing when 3 and a half months into it. I felt the worst pain ever and rushed to the Dr to find my baby was gone. Jessica, I am so sorry for your loss. It does take time to accept that life will be changing to bring a baby into the world. Then suddenly that is taken from you. I’m so sorry.